Team CCIZ, the corporate citizens, takes the immense role and responsibility to encompass corporate social responsibility (CSR) among the students. 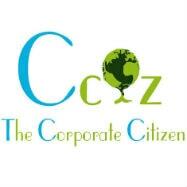 CCIZ takes welfare measures to up bring and assist the needy stakeholders. CCIZ has a broad vision, pre-defined agenda to implement its developmental activities. CCIZ came up with “Blood Donation Camp”, - give blood, save life! Which was a heart throbbing moment, as giving blood is giving life! CCIZ organized a Plantation Drive, which involved nearby Dorli Maha vidhyalaya, where students of IMT took pleasure in interacting with the school children and sowed the saplings. NFCG’s “Swacchta Pakwada”, which is a cleanliness drive was organized by the Team CCIZ, where the tribal school children were educated on cleanliness and hygiene through pictures and pledge. Also at the campus of IMT whole college along with the dignitary gathered for taking a cleanliness pledge, which focused on keeping the premises clean. The real spirit, excitement and fun lies in experiencing and rendering the felt joy, it’s all about “Joy of Giving”. A three day grand event at IMT that involved dedications .students gathered, gave their support to raise the needy and to bring a smile on their face. Team CCIZ periodically undertake “Village Empowerment Program” to educate the enthusiastic school children from nearby village. Members of CCIZ bring the village school students to the IMT Nagpur campus and educate them in the area of Computer and English.